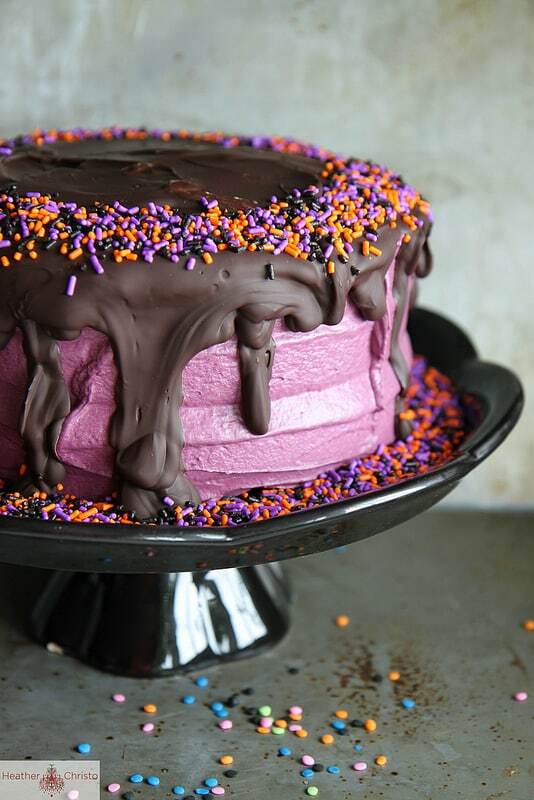 These Halloween cakes look incredible – but they are super easy to make. Because who has time for complicated?? We’ve been on a bit of a baking spree here in recent days, sharing some delicious ideas for Halloween cupcake and cookie recipes. But today we’re onto the main event…. The Halloween Cake! After all if you are hosting a party this October 31 you need something incredible to act as a centrepiece and amaze your guests. The good news is that while these cakes look amazing they’re not super complicated (because who has time for that!). 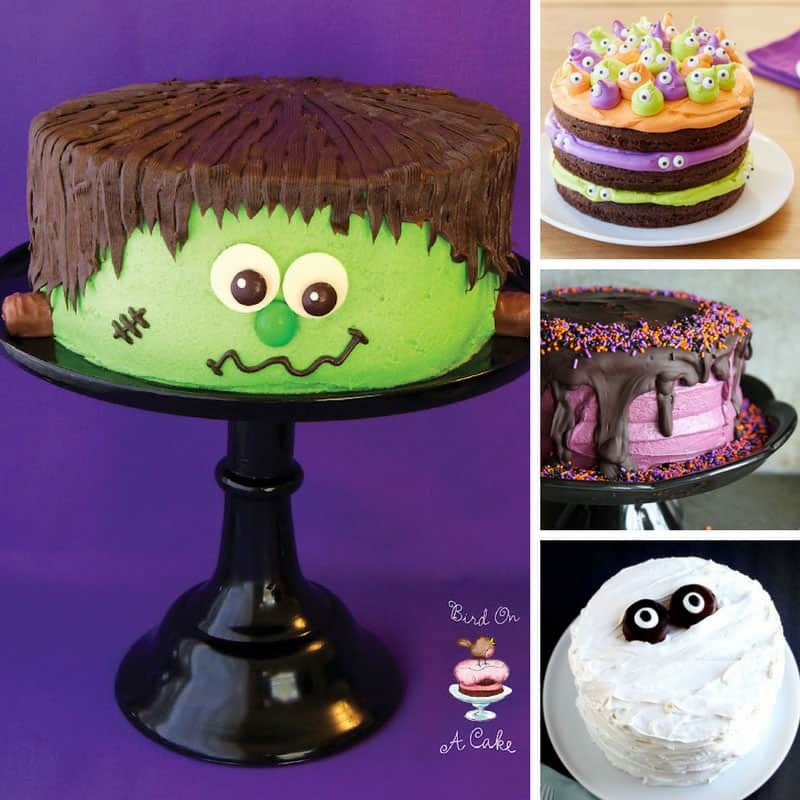 Here are our favourite Easy Halloween Cake Recipes – that look like they took more effort than they did! 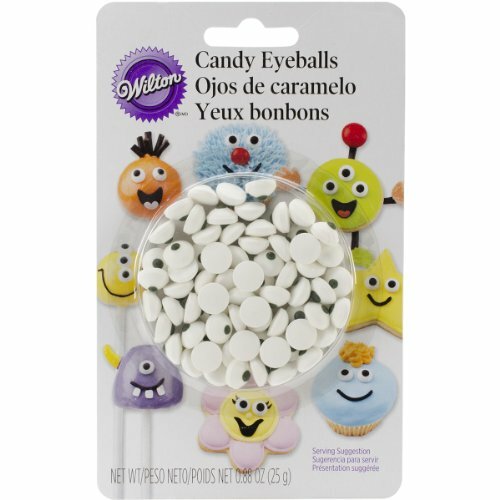 We’ve got everything from spooky eyeballs and candy apples to Halloween monster cakes! 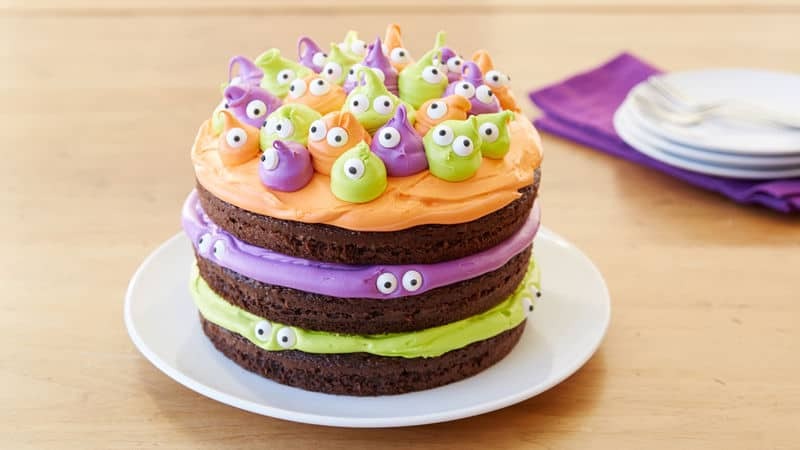 Spooky Eyeball Halloween Cake – We’ve got this thing going on right now where we LOVE googly eyes on Halloween cookies, and cupcakes and now this cake! Half Baked Harvest – Wait a minute. Did someone say Salted Caramel Apple Snickers Cake? Oh my word. I might just have died and gone to candy apple Halloween cake heaven! 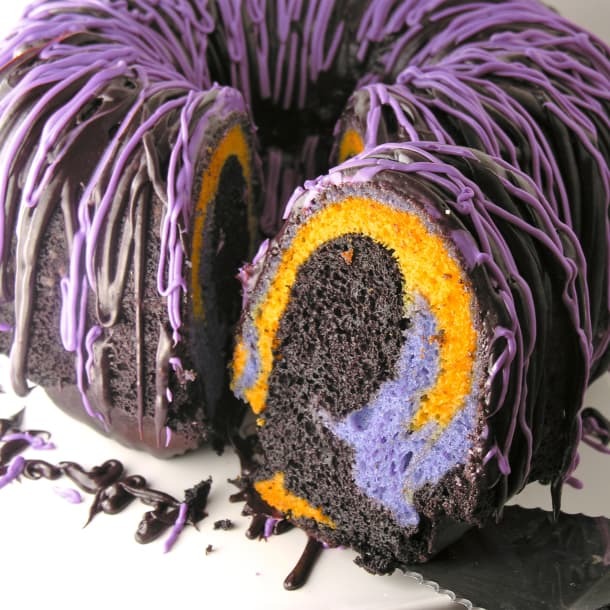 Halloween Bundt Cake – Creepy colours all swirled together inside a bundt cake and drizzled with gooey frosting equals the perfect Halloween cake for a kid’s party! 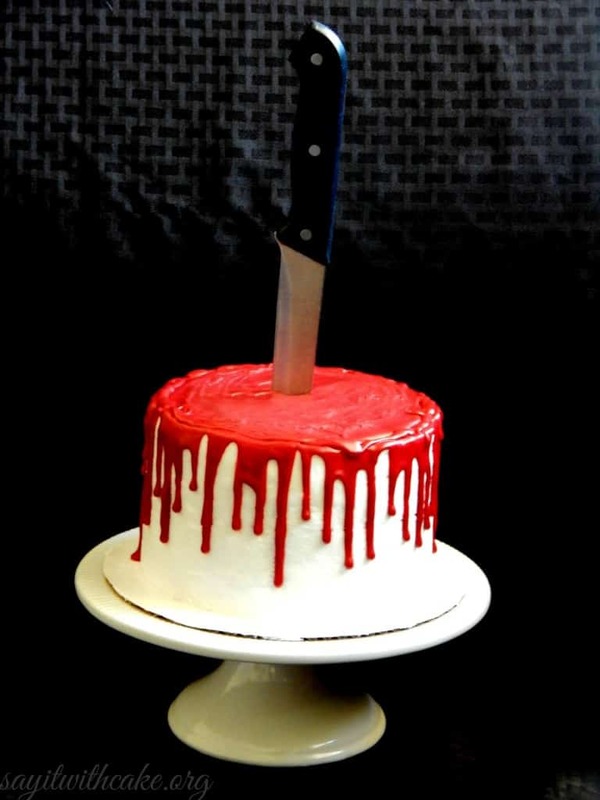 Bloody Halloween Cake – If you’re trying to plan a Halloween party and your tween boy is acting like the whole thing is far too babyish for him to bother with… show him this cake! 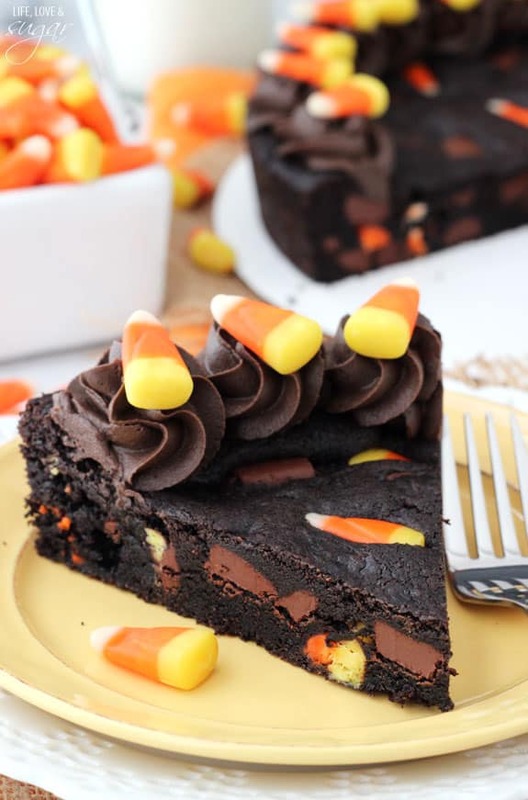 Candy Corn Chocolate Chip Cookie Cake – Who doesn’t love a giant chocolate cookie? Especially when it’s turned into a cake and laced with candy corns. Oh my! 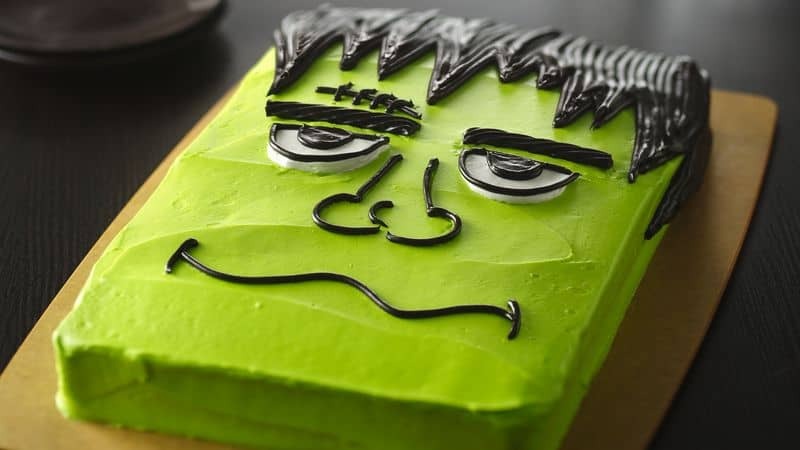 Frankenstein’s Monster Cake – Isn’t he just the most adorable Frankenstein’s Monster you have ever seen? Love the twix as the bolts in the side of his head! Vintage Halloween Cake – Wow how fabulous is this cake? 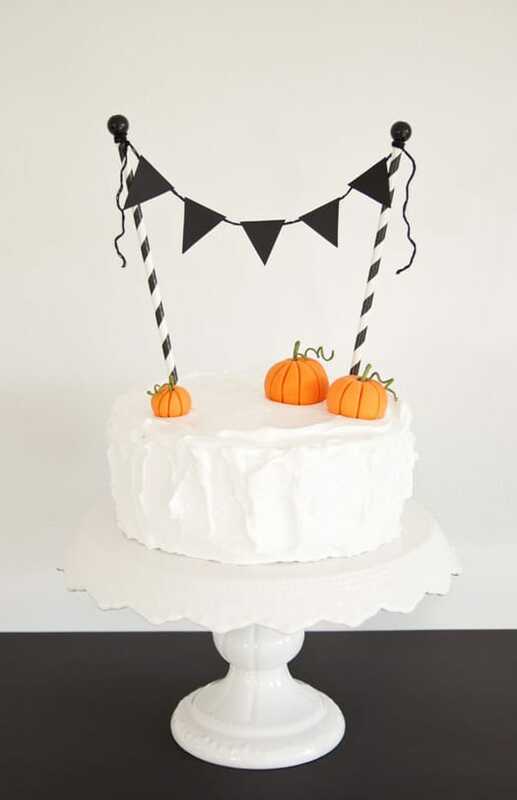 Love that it is so simple with that white meringue frosting but add some black and white straws and mini bunting and you’ve got yourself a really striking Halloween cake! 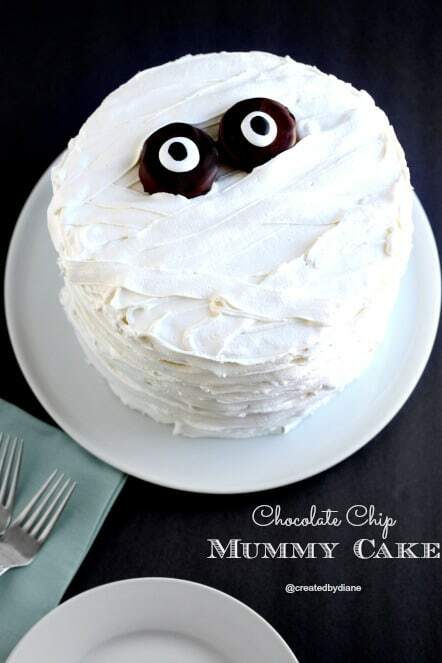 Chocolate Chip Cake-Halloween Mummy Cake Recipe – If you’re looking for an easy Halloween cake that the kids can make with you then this is it. Super simple but super effective! 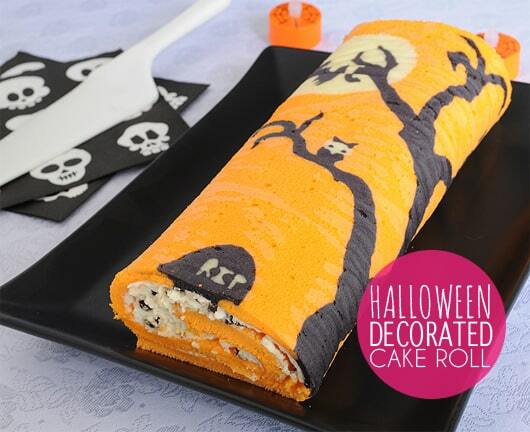 How to Make a Halloween Decorated Cake Roll – Wow! I don’t think I’ve ever seen anything like this before… a cake roll that’s decorated on the outside! Black Velvet Cake – Are you drooling right now? Because I am! Oh my goodness this cake is not going to last too long in our house this Halloween! 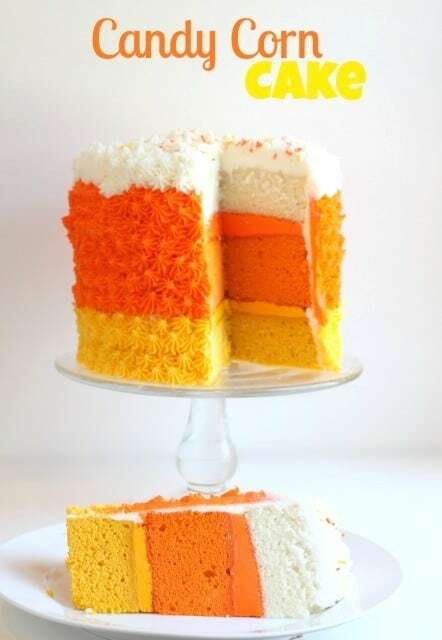 Candy Corn Cake – October wouldn’t be October without Candy Corn right? Which is why we know you will love this cake! 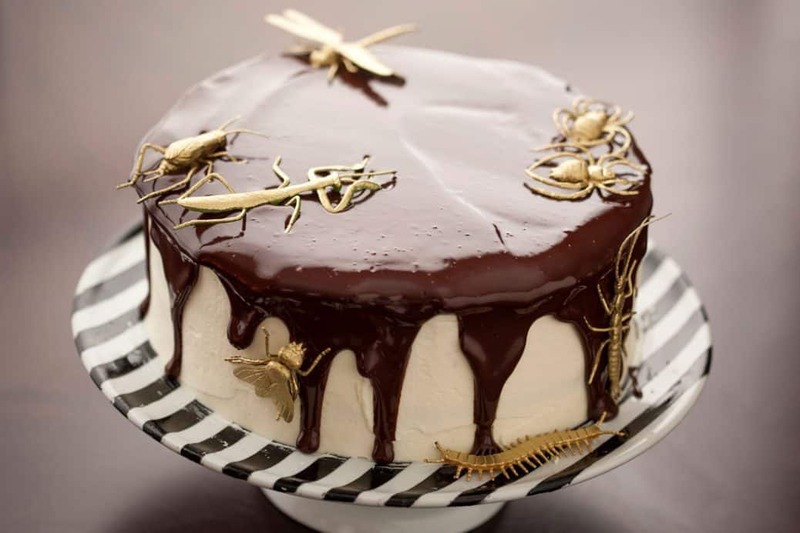 You’ll Bug Out Over our Black and White Tuxedo Cake – Oh my goodness this cake looks absolutely beautiful… until you notice the bugs crawling all over it! The kids will LOVE this! 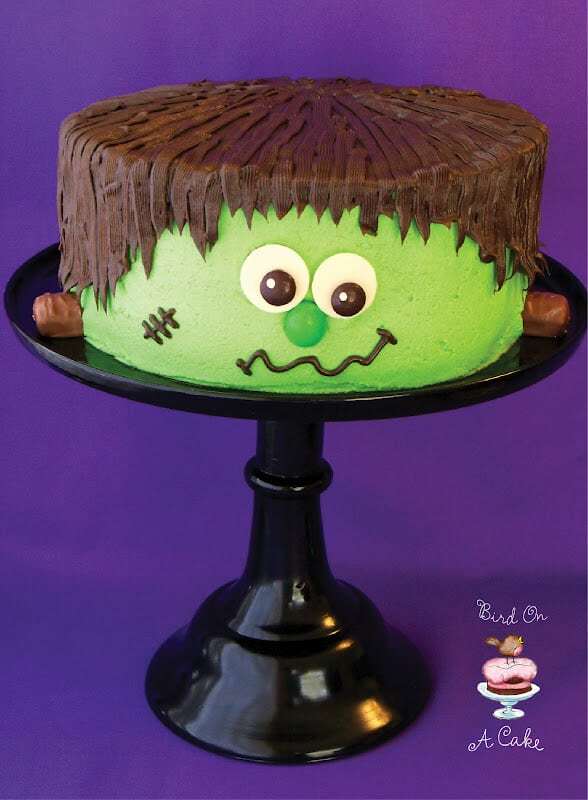 Halloween Monster Cake – How amazing is this Frankenstein Monster Cake? And no one has to know that you made it using a Betty Crocker Cake Mix! Shhh! 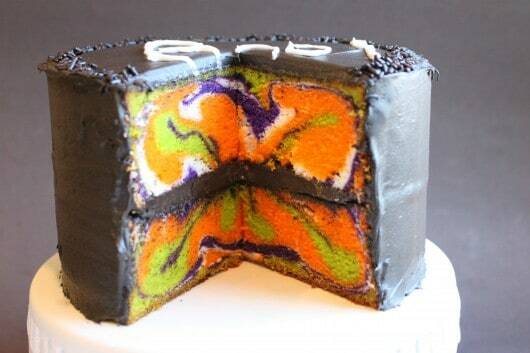 Halloween Marbled Cake – From the outside this might just look like your typical chocolate covered Halloween cake. But when you cut it open your guests are in for a colourful surprise! If you’ve been inspired by our collection of Easy Halloween Cake Recipes make sure you check out our Easy Halloween Milkshake Recipes for Kids for something spooky to wash it all down with!